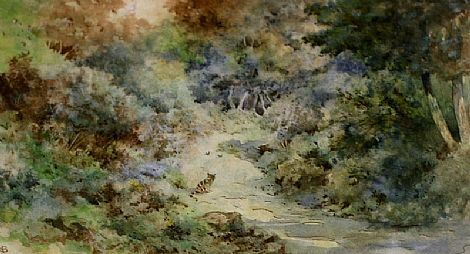 A landscape painter, Mildred Anne Butler spent most of her life at the family home, Kilmurry in Thomastown, Co. Kilkenny. Kilmurry was her chief source of inspiration, flower gardens and landscapes featuring animals and birds being her forte. She studied in London. 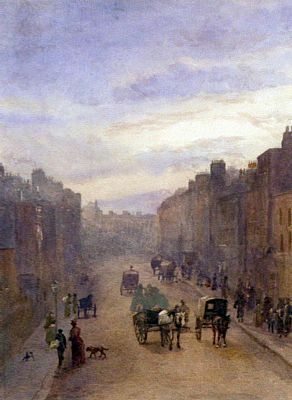 Her first exhibition was with the Water Colour Society of Ireland in 1890 and three years later her work was included in an album of watercolours presented to the future Queen Mary. A tiny watercolour of crows hangs in Queen Mary’s dolls house at Windsor. Mildred Anne showed only five works at the Royal Hibernian Academy. She exhibited at the first Belfast Art Society show and was one of the first nine academicians elected by the Ulster Academy of Arts in 1930. It wasn't until 1937 that she was granted full membership of the Royal Society of Painters in Water Colours, having become an associate as early as 1896.